Rebecca Parks writes award-winning songs that set scenes, tell stories, and dramatize conversations. She has introspective vulnerability and a folk-rock sensibility with a theatrical touch. Her lyrics are sharp, her melodies memorable. She's not afraid of controversial subjects, such as the plight of women under religious fundamentalism, the effects of off-shoring, and the story of a transgender teenager. Rebecca takes her art seriously, but not too seriously: she also writes about psychiatric emergencies and bad bosses. In her vocal tone she resembles Joan Baez. Her elegant piano playing is reminiscent of Sarah McLachlan. 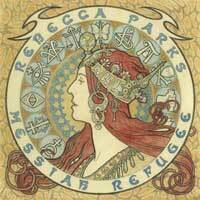 Rebecca's latest CD, Messiah Refugee, features styles ranging from ethereal ballads to blues to anthemic rock. The arrangements are spare, centered around Rebecca's voice and a grand piano, often with cello, flute, sax, or bass and drums. 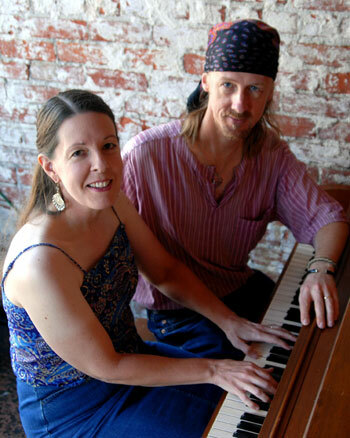 Her husband, Gary Lee Parks, provides warm harmonies on many of the songs. The theme woven throughout the CD is spiritual meaning and questioning: although only two of its songs are explicitly about religion, most touch upon it or upon related topics such as abuse of power or love and forgiveness. It was during a time of many losses, beginning with her grandfather's death and ending with a broken engagement, that Rebecca decided to return to her music after a long absence. She had been living for othersfamily, friends, coworkerswhen she decided to reclaim her life and her voice.